Cassette edition of Apologies to the Queen Mary. 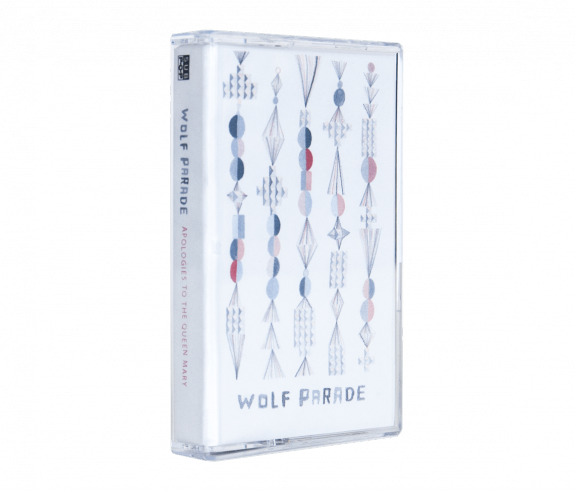 Cassette does NOT contain Early EPs tracks. Purchase includes Digital Download of Apologies to the Queen Mary - Re-masted Deluxe Edition (Apologies to the Queen Mary + Early EPs). Tracks will available to download on release date, May 13, 2016. Please note that all purchases made with Media Mail service are subject to inspection by the USPS and cannot be guaranteed against damage.